Today I want to tell you about a great company whose products can be found right here at Everything Summer Camp. Red Ledge—a leading brand in outdoor apparel and rain gear for the avid outdoorsy folk—provides its customers with attractive, comfortable, technical, and affordable products. Red Ledge, a very charitable company that’s been developing their products and satisfying their customers for over fifteen years, seems to really enjoy thinking outside of the box and going above and beyond in order to help those who are in need. The Red Ledge mission statement reads, “Rain doesn’t have to be such a bad thing, it does so much good for the world and WE can too.” Everything Summer Camp is more than honored to be working alongside such a charitable business that gives so much back to emerging countries and the people in the world who are truly in need. How does Red Ledge help others who need it? Well, this year they’ve funded their first water project completely through charity. Water, Red Ledge’s non-profit organization helps brings clean drinking water that’s actually safe to consume to the people in developing nations who don’t always have clean, safe drinking water readily available like we do in America. And so, Red Ledge painstakingly designs an attractive rain-jacket along with other rain gear, producing performance-driven fabrics with technical features to provide their avid outdoorsy customers with suitable clothing that can stand up to the elements only to selflessly dish their profits out toward funding projects that help the needy. They did it this year and they aim to continue funding future water projects in the coming year. In doing so, Red Ledge hopes to cut down the stereotypes and typical behavior of successful companies. Showing the world some class and initiative about issues in our modern world is a great way to start! 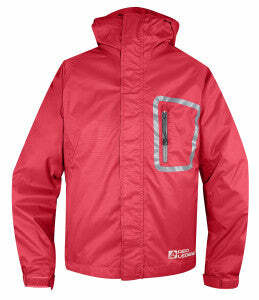 When you buy a Red Ledge rain jacket, you are vicariously helping those who can use fresh and safe drinking water. The gang here at Everything Summer Camp salutes you, Red Ledge. Thank you for showing the world the compassionate side of a company.